Our Executive Director Robin Steinberg wrote an article on racial disparities in the criminal justice system that was featured in The Champion. 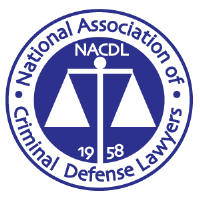 The article draws from discussions at the National Association of Criminal Defense Lawyers’ conference report, Criminal Justice in the 21st Century: Eliminating Racial and Ethnic Disparities in the Criminal Justice System. An excerpt of Robin’s piece is included below, in which she discusses The Bronx Defenders’ efforts to combat racial injustice through holistic defense. “Racial disparity in the criminal justice system is a problem with which public defenders are intimately familiar. They see it every day in courthouses across the country where people of color from low income communities line the crowded hallways, fill the courtroom benches, and sit at the defense table in staggering and disproportionate numbers. Public defenders cannot eliminate racial disparities in the criminal justice system because racial disparity is the result of larger social, political, and economic issues and decisions that were made long before the police put cuffs on their clients, and long before defenders met their clients at their first court appearances. But defenders can – and should – provide public defender services that properly address the discriminatory laws and practices they see. The Bronx Defenders’ model of holistic defense, guided by four “pillars” outlined in this article, combats racial disparity in the criminal justice system by enhancing the quality and meaning of individual representation for each client; providing civil legal services that improve life outcomes, in addition to case outcomes; creating structural mechanisms that capture important client and community data; and empowering attorneys, clients, and community members to advocate for a fairer criminal justice system.